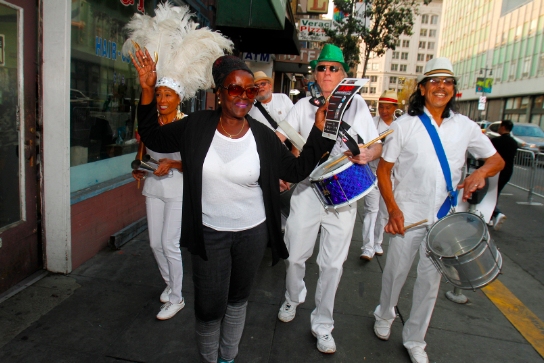 The revered San Francisco event 2 Blocks of Art returns for its 8th year on Saturday, May 4th, 1-5pm! 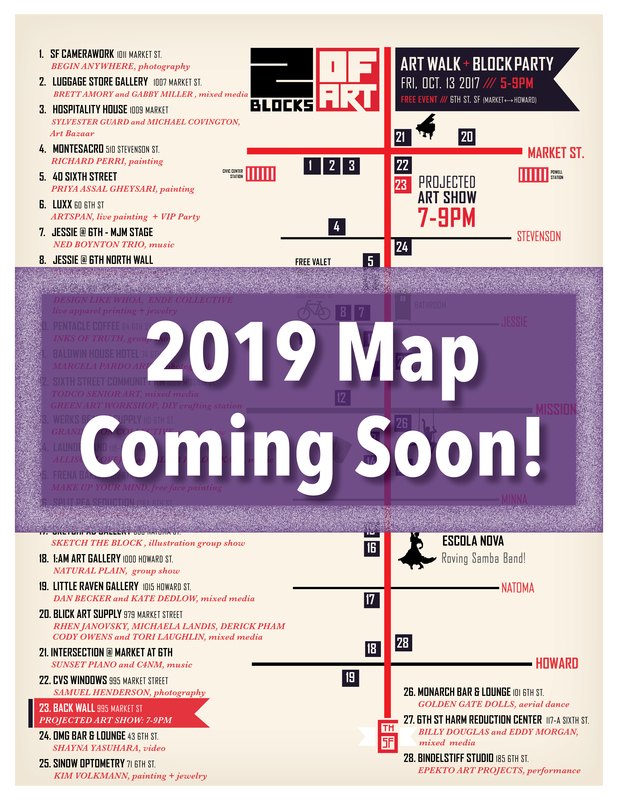 New in 2019, the art walk is happening on a weekend afternoon to allow for more daylight to view the feature of this year’s event: 6th Street murals! 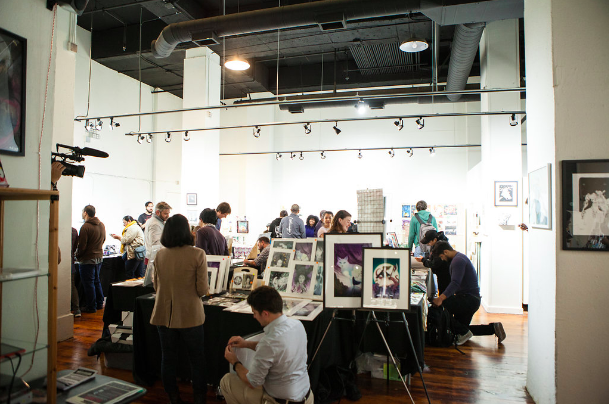 As always, this free event brings over 75 artists to 20 locations within two blocks of 6th Street (between Market and Howard). 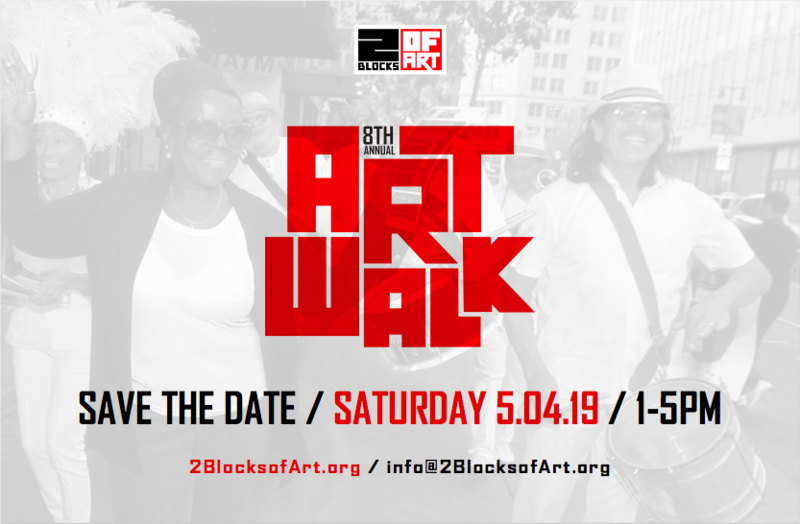 The art walk will feature a range of exhibits and live performances in galleries, bars, restaurants, coffee shops, and various other storefronts -- even a laundromat. Also, don't miss the live painting by SUGABUS Media on Stevenson Street, as they transform a large, blank canvas into a work of art on the theme of “people in motion,” with the aim to highlight the beauty and devotion of the City and neighbors; and Sketchpad Gallery’s “Sketch the Block” -- the wildly successful, 2 Blocks of Art exclusive one-day-only sketch-con, hosting artists in the fields of visual concept, comic books and video games, which is back for its third year. An expanded planning team with art and event experts: Ben Davis (of Illuminate and the Bay Bridge Lights), Blick Artist Materials, Khan Wong (of Grants for the Arts), SF Camerawork and staff from revered 6th Street design firm Vehicle SF. The return of "Sketch the Block", co-produced with Sketchpad Gallery, a sketch con of artists in the fields of visual concept, comic books, and video games. The introduction of a large-scale, illuminated video art projection: Sixth Street Superheros on the back of 16-story high 995 Market Street, which served as its own art-themed bat signal. The expansion into 28 gallery spaces in 20+ neighborhood locations, which included turning vacant storefronts, local businesses and community organizations, into lively gallery spaces and public studio spaces. Artists and 6th Street organizations interested in participating or sponsoring the event can contact lead organizer of 2 Blocks of Art: the Mid Market Community Benefit District (formerly known as the Central Market Community Benefit District); Helene Sautou, Project Director, info@2BlocksofArt.org, (415) 957-5985.